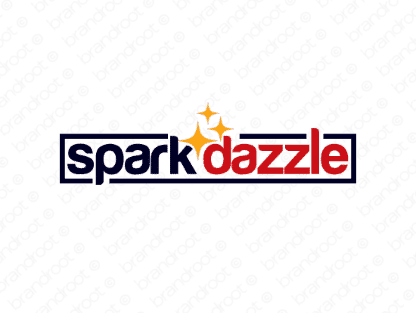 Brand sparkdazzle is for sale on Brandroot.com! A radiant combo of "spark" and "dazzle" that shines with vibrant brilliance. Sparkdazzle is a fabulously colorful name that's always the center of attention, ideal for fashion and beauty products or fun entertainment and media brands. You will have full ownership and rights to Sparkdazzle.com. One of our professional Brandroot representatives will contact you and walk you through the entire transfer process.